Want to know how to create an online course with WordPress? These 10 simple steps will show you how. Back in 2010, I held a position as CFO for a growing company which was opening new offices nationally at a rapid pace. The first few years were really exciting. Prior to that job, I’d never had the chance to be in on the ground floor of a growing company and every new challenge that came along was a learning experience. However, around five years into the gig, I was quickly becoming burned out. I was working long hours, spending time away from my family at the office or traveling to scout new locations, and investing all of that time building someone else’s company. It’s not that I didn’t appreciate the experiences because they are the reason I learned the lessons necessary to be an entrepreneur today. There had to be a better way to earn an income to support my family rather than trading hours of my time in an office for a paycheck. It was around this time of impending burnout that a friend suggested that I read The 4-Hour Work Week by Tim Ferriss. I’m not trying to be dramatic, but after two reads of the book it changed the way I not only thought about work and life but it also was proof that it was possible to create passive income streams which rewarded you for the work you put in up front…not getting paid an hour at a time or a fixed annual salary. Since I’d spent so much time learning the lessons within the industry I was working and they were all fresh in my mind, it didn’t take me long to come up with my first idea for a digital product which I could create and launch to generate passive income. So I began the process of creating my first course. Everyone is an expert at something and if the topic is right, people are more than willing to pay to learn that something. You are an expert at something. Period. And if you’ve ever considered bundling up all that knowledge of yours and sharing it with the world, this post is intended to give you an overview of how to create an online course with WordPress so that you can begin profiting from that knowledge by creating a digital asset (a course, of course) which will generate passive income for you. Since launching WP Courseware in 2012, we’ve worked with over 20,000 online course creators. We’ve seen some wild successes ($1 million in course sales in 18 months) and we’ve seen some total flops. If your favorite hobby is designing and hand-crafting holiday sweaters for guinea pigs, that’s great! Keep knitting those wee wool wearables until your fingers simply won't let you make another! But before you decide that your little passion project is going to turn into a course which will generate an income for you after spending 200 hours crafting video content, let’s just take a step back. How many people share this interest with you? Is it something other people are passionate about? Are you truly passionate about it? Are you truly an expert? Would people pay you money to learn this skill? If you’d like to learn more about the process we’ve used and recommended to our clients on how to select a course topic that will sell, I’d highly recommend reading one of our past posts titled The $1 Million Course Formula Secret. If you’ve answered the questions above and settled on a course topic, the next step is to prove that people will pay for your course. In our experiences, it can require hundreds of hours to create content for an online course, build it, market it, and support it after launch. You don’t want to go down this path without first validating your topic as a viable paid digital product. Fortunately for us course creators, the internet provides a wealth of information around a topic. Not long ago, we published a complete guide to course validation. I would highly recommend reading this guide before beginning work on any course topic. Ok, so you’ve chosen a topic, done some research to validate it, and you’ve decided that it is, in fact, a pretty good bet to begin creating a course on your topic. We cover this step in more detail in a free guide we published called 3 Simple Steps to Effective Learning Objectives for Your Course. 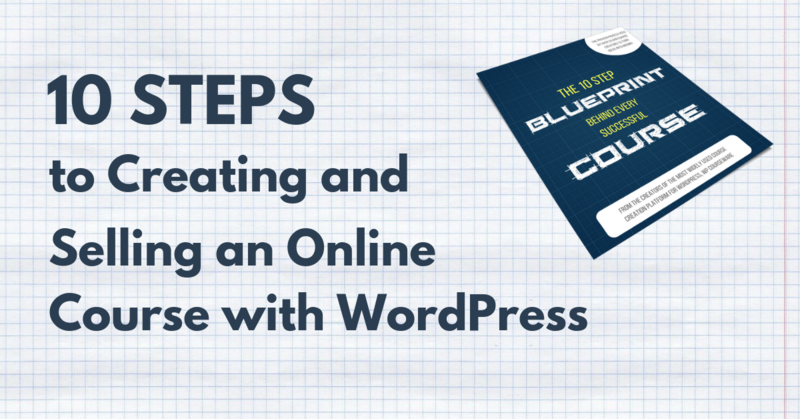 Before you dive into the next step in the course creation process, I would highly recommend reviewing the steps we cover in that particular guide. Once you’ve fully uncovered the skills you want your students to learn, it’s time to begin putting together your research resources to produce your course content. This may include Wikipedia articles, social media groups, industry/niche-specific forums, links to blog posts, academic papers…you name it. Basically, you’ll be putting together a list of any online resources which will help you out when it comes time to produce a lesson for your course. I usually catalog these resources as bookmarks in my internet browser and I also use Evernote’s web clipper extension for Chrome to screen capture and annotate online resources for easy access later. Trello and MindMeister are also both great tools for this process. We’ve also published a detailed guide to creating great course outlines, but this is the step in which you’re going to take your learning objectives and break them down into course modules and lessons. If you understand where your ideal student currently is and where you want to take them, then think of your course as a bridge to cross that gap. Your course is going to be the path they take to a new skill set. Rule#1: Use the least number of steps possible to cross the bridge. Rule #2: Don’t overwhelm your students….use background and supplemental information sparingly. Rule #3: Use simple language and ideas in your outline…this isn’t a PhD program. Step #1: Begin with the end in mind…this is why we evaluated our learning outcomes. Step #2: Determine each major milestone necessary to work toward each learning outcome. Step #3: Create individual action steps to reach each milestone. Step #4: Outline the knowledge you need to demonstrate for each action step. Step#5: Flesh out a lesson summary for each task with major learning points you need to cover. If you’re planning to create an online course on a topic which you’re an expert in, then you’ll likely already have an idea of the most effective way to teach that topic. In a survey we recently conducted across our WP Courseware user segment, we found that 92% of those course creators rely primarily on video as the primary training modality. However, some topics are best taught through text, audio, downloadable PDFs, real-world action guides, and many other forms of delivery. Once you’ve settled on a delivery method for your course content, you can begin gathering the tools you need to produce your lessons. This may include a digital camera if you’re going to be doing live demonstration, software like Screenflow or Camtasia if you’re going to need to record your screen, or a USB microphone for voiceovers. It’s now time to produce your course content. Again, this is going to rely solely on how you plan to present your content to your students. However, once you know how you’re going to do that and you’ve assembled the right tools, the sooner you can get your course content produced the sooner you can profit from it. Also, we recently produced a free guide titled 6 Ways to Spend Less Time Updating Your Course Videos. There’s a wealth of information in there which includes things to keep in mind when producing course lesson videos so that you don’t have to constantly worry about keeping them up to date. WordPress now powers around 30% of all websites world-wide and it comes free with most website hosting packages. We’re a bit biased since this is the industry we operate within, but we would highly recommend using WordPress as the platform to build your course on and sell your course. It allows for almost unlimited flexibility…you can easily change themes, use plugins for advanced functionality, easily create new pages on your website without knowing any code, or publish a blog alongside your course. Many hosting providers charge just a few dollars a month to host your website (such as GoDaddy, BlueHost, SiteGround, etc.) and once you log into your account, installing WordPress is often just a single-click operation. Not long ago, Ben published some great information on how to choose hosting for WordPress-powered sites. Once your website is up and running, you’ll need a way to structure and charge for your course. Our learning management system for WordPress, WP Courseware, allows you to easily create and structure your course content and charge for it either as a recurring subscription or a one-time fee through PayPal or Stripe. However, there are also a number of membership plugins which will work for this purpose as well. As I mentioned earlier, we’ve worked with over 20,000 course creators since 2012 and if there’s one area where we see our clients get tripped up, it’s when it comes time to set the price they’re going to charge for their course. But…the more you charge for your course, the fewer students you need to take care of to reach the income goals you set out to achieve by creating the course in the first place. And believe us…there will be a demand on your time for each student enrolled in your course! How are similar offerings (courses or ebooks) priced? What is the value of the knowledge your student will walk away with? What is the average income level of your ideal student? Now it’s time to launch your course! This is an incredibly exciting step for all course creators. You’ve put in the time to create the content, built a website to deliver it, and set a price. But this is a crucial step. Entire books and websites are dedicated to proper launch strategies for digital assets, so it’s beyond the scope of this basic guide to go into detail on every possible type of rollout and its sequencing. I would highly recommend that anyone launching an online course (or any online product for that matter) read Jeff Walker’s book Launch. It’s available in paperback and trust me…it’ll be the best $10 you’ll spend in this entire process. Will you offer the course for free to a feedback group before public launch? Will enrollment be open for a limited time and then closed or always open? If you do choose open/close enrollment, how many times a year will you open it? Do you have a list which you can use to build hype during the lead up to launch? Do you have a blog or social media following which you can leverage? Will you be reaching out to influencers in your niche to ask for help in announcing your launch? Are you going to be using an affiliate program to entice these influencers to help you? Will you use social media ads to promote your launch? Will you conduct free webinars to sell your course? Are you going to promote a free “lead magnet” on social media or your website to capture email addresses to promote your course? Again, this is a relatively simplified overview of the entire course creation process, but these are the ten steps which every successful online course we’ve been involved with take. And I won’t sugar coat it…creating an online course is a lot of work. In fact, one of the new courses I’m working on right now is one that I initially started creating 14 months ago. It’s almost finished with two modules to finalize, but since I have a family to attend to, a business to run, and friends I enjoy spending time with…well, you cant do everything at once at Rome wasn’t built in a day. But just remember…you ARE and expert in something and if you take ACTION you can find a way to trade your knowledge for income!